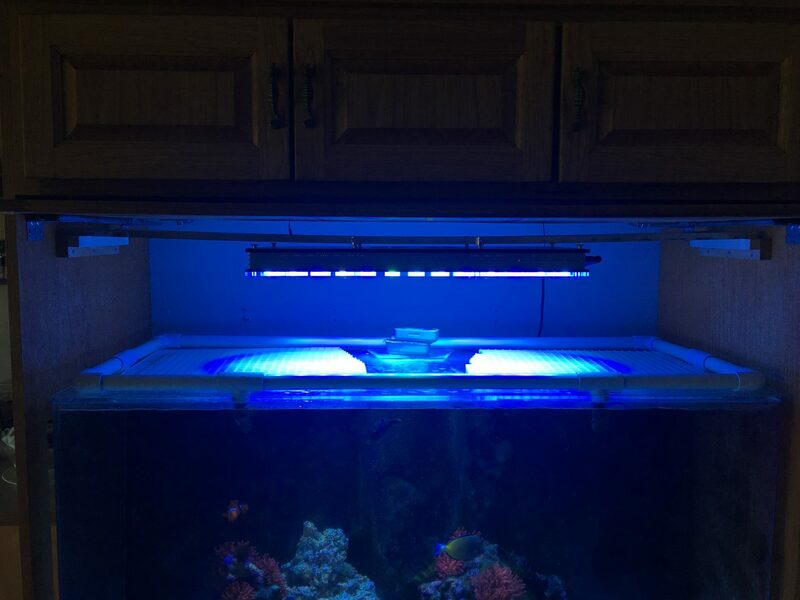 Today we are happy to share a reef tank from Indiana belonging to Mark Gustin, with our newest launch, the Orphek Atlantik V4 Led Lighting. 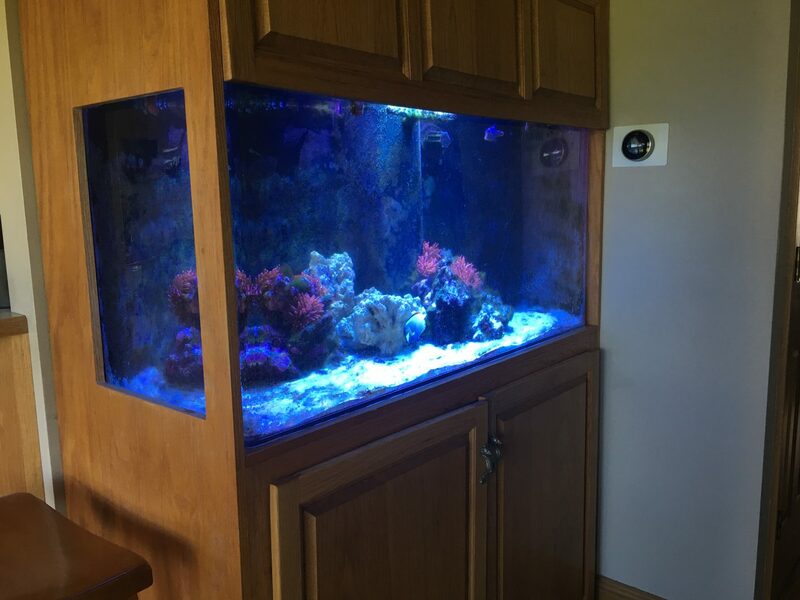 Mark recently bought an Atlantk V4 Reef LED Light with our Master gateway for his reef tank which sits in a beautifully crafted wood cabinet placed in a corner of a room in his home. DIY acrylic sump approx 30 gal with Aqua C skimmer and refugium. This is a Live Rock, Refugium, and Skimmer only system. No other filtration. Cabinet: DIY Hickory and Oak. I designed the entire system myself. Critters: 1 Powder Brown Tang, 1 Clown, and 1 blue spotted puffer. 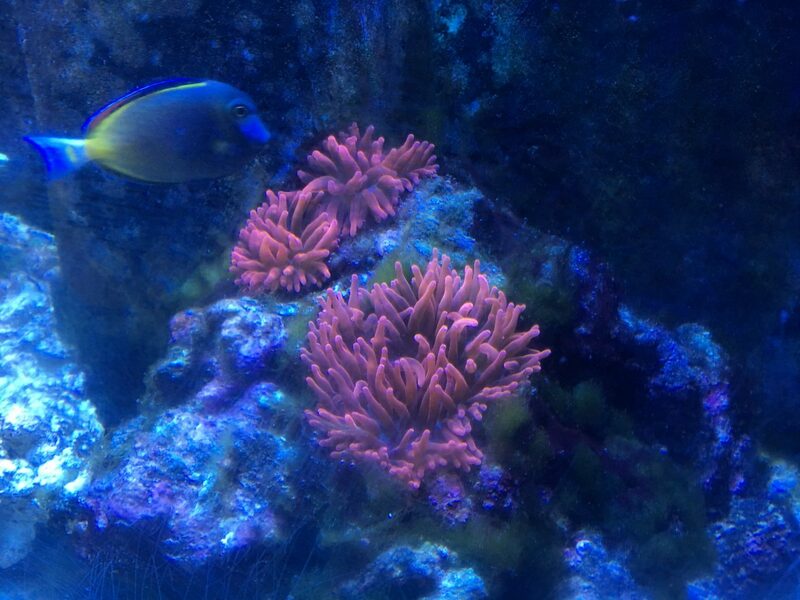 Originally setup in 2008 with one rose bubble tip anemone which is now six due to reproduction. 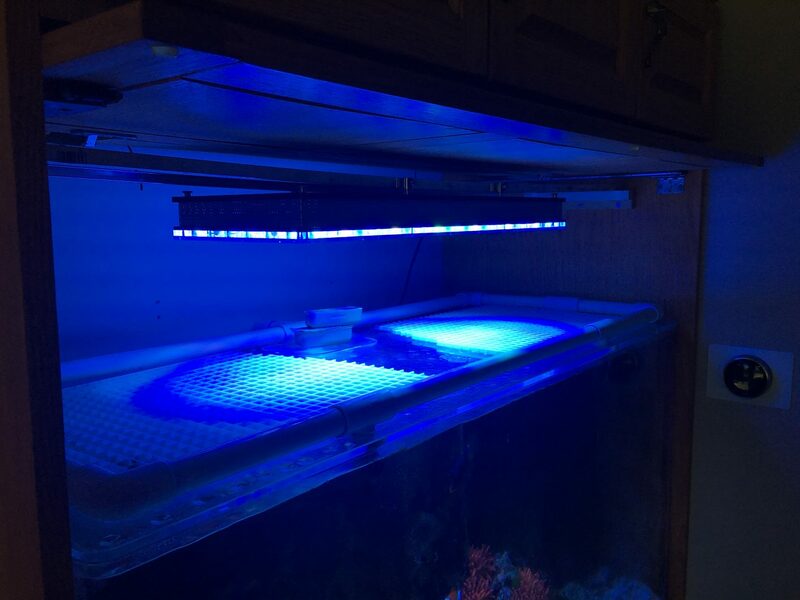 “Love my new lighting and I had no trouble acclimating the BTA’s with the acclimation program provided. 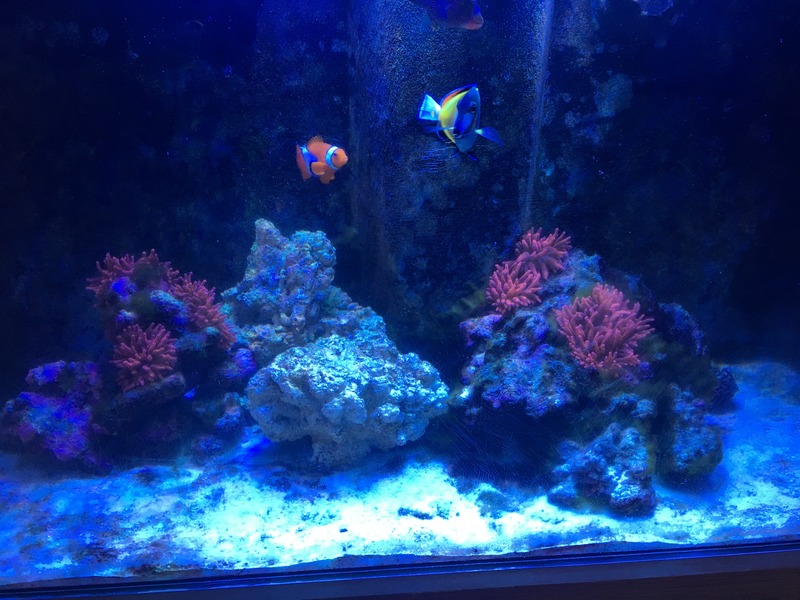 My tank was borderline from needing a chiller and it now runs about 2-3 degrees cooler with the new lights”. Orphek is know for its versatile and conceptual designs. Our Atlantik V4 will look great above tanks with or without a canopy, and since it runs a cool system compared to many others in the market no wonder our client has been able to reduce the heat using our LED light solution. Orphek is already taking orders today!